The Mate 20 Pro is set to be the crown-jewel in Huawei’s 2018 smartphone lineup. It features an in-screen fingerprint sensor and support for full 3D-face unlock. Rather than the 2D face unlock systems like that found in the P20 and P20 Pro, the Mate 20 Pro uses infrared light and depth maps in much the same way as Apple’s iPhone X and iPhone XS do. 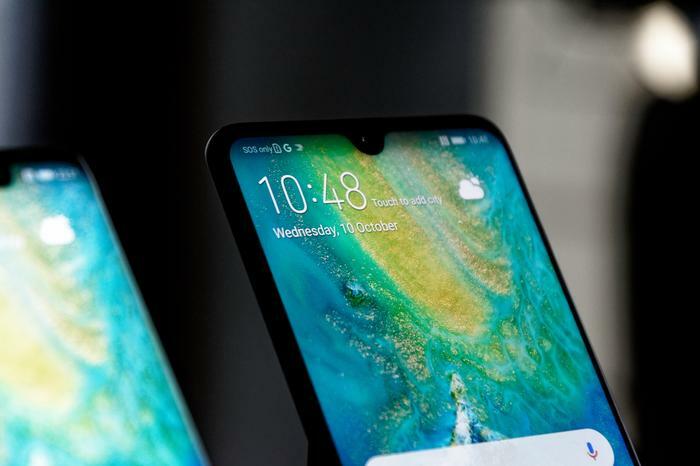 The Huawei Mate 20 clocks in with a 6.45-inch LCD display with a teardrop notch in the center of the top edge of the display. The Mate 20 Pro is slightly slimmer but features a wider notch and 6.3-inches OLED Display. As far as colors go, there are two options to choose from: Midnight Blue and Black. Beyond this difference in visual profile, the regular Huawei Mate 20 lacks the 3D face unlock and IP68 water resistance found in its more expensive cousin but gains a headphone jack in return. Both handsets run on Huawei’s Kirin 980 processor which, in addition to all the usual promised improvements when it comes to performance and battery life, lays claim to the title of the world’s first mobile CPU with dual neural processing units. 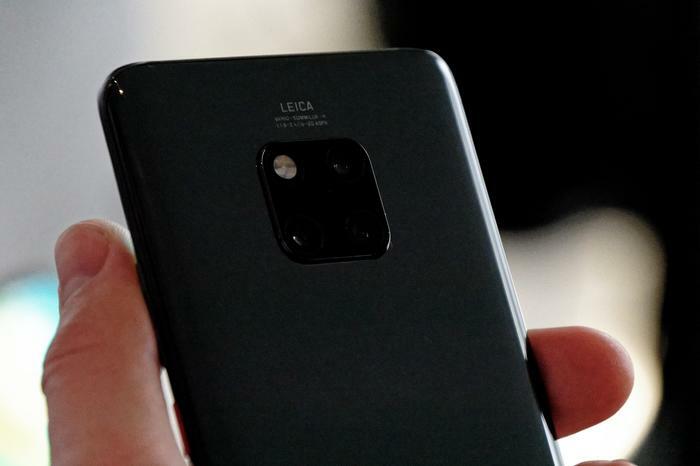 Like the P20 Pro, the Mate 20 and Mate 20 Pro incorporate a triple-lens Leica camera system. However, the implementation is slightly different across the two devices. The Mate 20 is armed with a 12-megaxpiel wide angle (f/18) lens, a 16-megapixel ultra wide angle (f.2/2) lens and an 8-megapixel telephoto (f/2.4) lens. The Mate 20 Pro builds in this further. 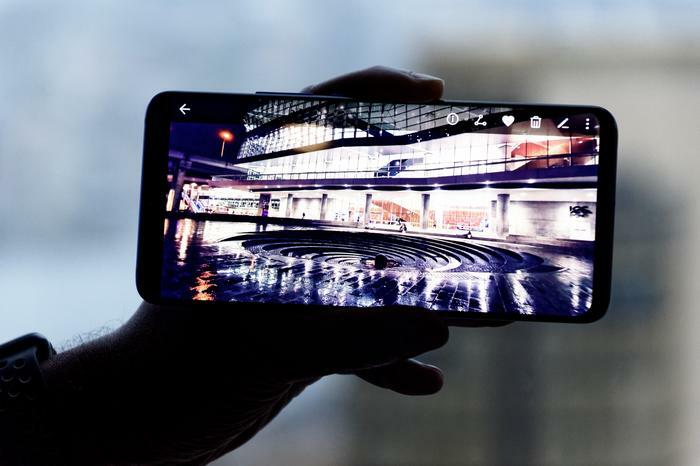 It boasts a 40-megapixel wide angle (f/1.8) lens, 20-megapxiel ultra wide (f/2.2) lens plus the same 8-megapixel telephoto lens found in the regular Mate 20. However, compared to the Mate 20's 2x optical zoom, the Mate 20 Pro is capable of both a 3x telephoto zoom and 5x hybrid zoom. The devices' AI-powered camera app also boasts a new super macro mode designed for close shots up of objects located up to 2.5cm from the camera. Both devices feature a 24-megapixel front-facing camera. The Mate 20 and Mate 20 Pro will also see the arrival of new cinema-inspired video features to Huawei’s camera app. These use AI to achieve things like color-grading, smooth panning and portrait shots in real-time. Unlike the P20 Pro, the Mate 20 Pro features support for both 15W wireless charging over Qi and Huawei’s new superfast wired charging (70% in 30 minutes). Upgrades here also pave the way for a unique new feature, currently exclusive to the new Mate devices, called reverse wireless charging. This allows you to use either the Mate 20 Pro’s sizable 4200mAh battery to charge other devices over Qi wireless charging. The regular Mate 20 has no wireless charging, reverse or otherwise. The one caveat here concerns storage. 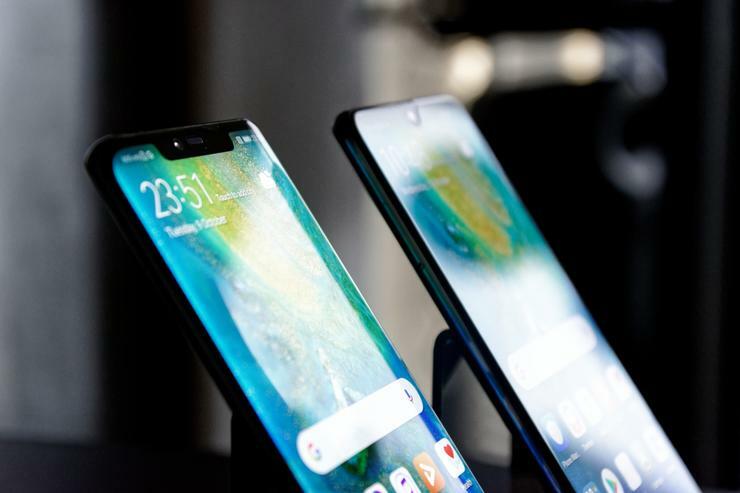 Rather than support MicroSD like most other flagship devices, Huawei have opted for a new proprietary storage solution called Nano Memory (NM). As for why you’d choose Nano Memory over the existing MicroSD, Huawei didn’t have much to offer beyond the new format being more compact. The company told us that they’re currently in talks with retailers around NM availability but did reveal that a 128GB NM card will be available for a recommended retail price of AU$139. In dollars for gigabytes terms, this is almost double what you'll usually be able to get from MicroSD. It's currently unknown whether any other hardware vendors plan to adopt the NM format. When it launches on November 1st, the Huawei Mate 20 will be available for an Australian price of $1099 while the Mate 20 Pro will be priced at $1599. Both devices will be available through Vodafone, JB Hi-Fi, Harvey Norman, Kogan and MobileCiti. Optus will only stock the Mate 20 Pro. Preorders open from the 17th of October, and doing so nets you either the Huawei FreeBuds and a new super wireless charger for the Mate 20 Pro and just the Freebuds if you opt for the standard Mate 20. Huawei say that pricing for the P20 Pro, which also sits at $1099, is currently being revised but could give no indication as to where or whether it would fall to.